"Edward Maxwell had two country places of his own. One was a farm house in Baie d'Urfé located near Senneville where he had designed a great many buildings for the Angus and Forget families. 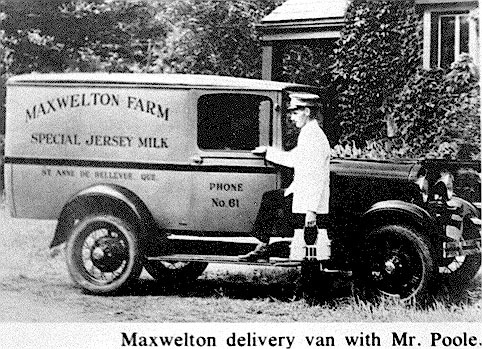 The farm was called Maxwelton, and on it Edward developed a prize herd of Jersy cows, which was a great satisfaction to him. His other country house, Tillietudlem, was a delightful retreat by the sea at St. Andrews, where the architect had also designed a great many houses. Some were like his own, while a few were exceedingly large establishments, such as Covenhaven designed for Sir William Van Horne and Link's Crest for Sir Thomas Tait."